Trying to strengthen the gut to boost “good” bacteria can seem difficult at first. However, there are so many different recipes out there that contain a high amount of probiotics that can benefit your health. 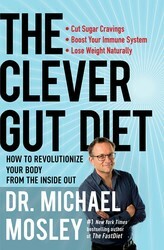 Dr. Michael Mosley, author of THE CLEVER GUT DIET, shares his recipe on how to make homemade yogurt. Not only does homemade yogurt usually have a higher probiotic content than store-bought versions, it’s also much tastier. And if you get into a routine, it just keeps on producing. 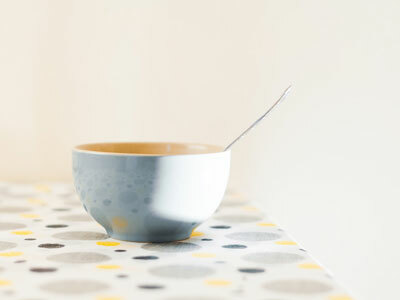 When fermented for 24 hours, most of the lactose is removed, which means that some people who are usually intolerant to lactose may well be able to “tolerate” it. The easiest way to make your own yogurt is probably with a yogurt maker, although there are plenty of people who do it in the traditional way, keeping it in a warm place, covered, overnight. Some store it overnight in the microwave, which acts like a large thermos ask keeping it warm. Make sure all your equipment and containers are meticulously clean and have been sterilized in boiling water (or on a hot cycle in the dishwasher). If using live yogurt as a starter, it helps if it is at room temperature. The containers for storing the yogurt should also ideally be at room temperature. Put the milk in a pan and heat it gently, stirring frequently so it doesn’t burn. Take it off the heat just before it comes to a boil (when it starts to bubble at the sides). Allow the milk to cool to about 85° to 104°F—it should feel just warm to the touch. (If using cream, stir it in earlier as this will also aid the cooling-o process). Then pour a cupful of milk into a bowl and stir in the starter. Add the rest of the milk and stir again so that they are well combined. For incubation, transfer the mixture to a yogurt maker, a dry sterilized thermos flask, or a covered bowl and let it stand on the kitchen counter for 24 hours (many yogurt makers can’t be set for longer than 15 hours, so just reset again when the 15 hours are up if needed). The warmer the temperature, the faster it will set (it should never be allowed to get any warmer than 115°F). Transfer the yogurt to clean glass containers and store them in the fridge (to stop fermentation) for up to 5 days. Keep 4 tablespoons yogurt to seed the next batch within the 5 days and just keep the production line going . . . Tip: Use goat or sheep’s milk if you are sensitive to dairy. They contain a different type of casein, which you may be able to tolerate. 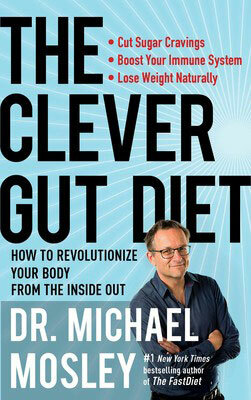 Find more healthy recipes and dieting tips in THE CLEVER GUT DIET by Dr. Michael Mosley.